We know your time is valuable. With that in mind, we have combined several appointments into your initial visit to our Huntington, NY orthodontic office located on Long Island. Our records technician will be taking the most advanced orthodontic diagnostic X-rays, utilizing our 3D cone beam imaging system and digital photographs. These records are used to develop a custom treatment plan, as well as to track the progress of treatment as the teeth move under orthodontic care. After Dr. Gellerman performs an extensive examination, an assessment will be made of your or your child’s orthodontic treatment needs, and the ideal time to initiate correction. Most importantly, all of your questions will be answered. Depending on what Dr. Gellerman sees, she may even be ready to get you or your loved one started with an impression that day. Everything included in this initial appointment is at NO COST to you. By the end of your first visit, your journey to a Spectacular Smile will begin! Orthodontic care necessitates a series of appointments throughout treatment. Most appointments require only 10 to 15 minutes; however, some procedures can require up to one hour of your time. Since YOUR time is important to us, longer appointments are scheduled in the morning, so you will be able to have the rest of your visits after school or work. In order to accommodate our busy working families, we offer early morning, evenings, and Saturday appointments. 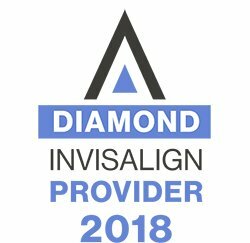 Because Dr. Gellerman believes in giving her patients the very best, she continues to educate herself regularly on the latest in orthodontic products and techniques. She is one of an elite few in the country who use SureSmile® as a standard of care for all her comprehensive orthodontic patients. Sure Smile® is the fastest, most efficient path to a spectacular smile. Suresmile® is a robotically bent treatment wire which is so accurate it can reduce the patient’s time in treatment by 6 months or more!! Being a parent herself, Dr. Gellerman believes in utilizing technology that ensures her patients’ comfort and success. She is also the top provider of Invisalign®, which is a great alternative for some of our patients. Maintaining good oral hygiene is vital when you’re wearing braces! This is why Dr. Gellerman partners with your regular dental care team to ensure you maintain optimum oral health throughout orthodontic treatment. She even provides you with all the necessary tools to be successful. It is imperative that you continue to see your dentist and hygienist at least every six months (sometimes even more often) while you are wearing braces. Together we can help you get and maintain a Spectacular Smile to be envied! The cost of your orthodontic treatment may vary, depending on your individual needs and treatment plan. We will work with you to create a payment plan that fits your family budget, and you will know what to expect before beginning treatment. Dr. Gellerman is not willing to let finances stand in the way of you or your family members having the very best orthodontic treatment available. Our office offers interest-free flexible payment options often, with little or no money down. We process all insurance claims for our patients, and are relentless in making sure the insurance companies pay the full amount that our patients are entitled to. We work hard to make orthodontics affordable.